Villa del Mar Beach Resort & Spa is the idyllic choice for your Puerto Vallarta group events and meetings. Our optional all inclusive hotel in Puerto Vallarta has the facilities and equipment you need for every type of successful event, in addition to a variety of benefits just for booking your Puerto Vallarta group packages with us. 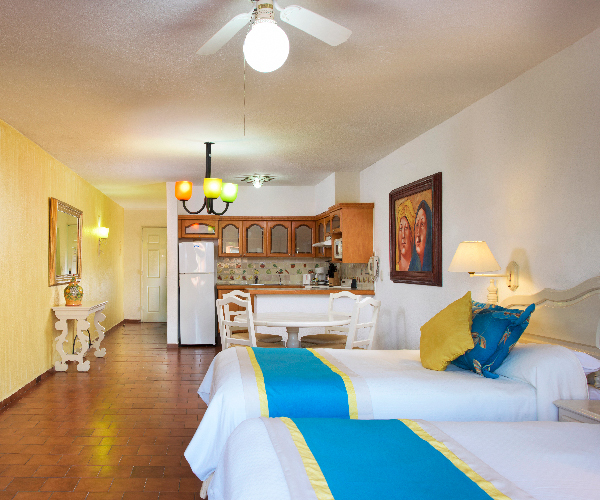 Due to our location in the heart of the Puerto Vallarta hotel zone, you’ll also have easy access to everything travelers love about the popular tourist destination. When planning your group event at Villa del Mar Puerto Vallarta, expect nothing but the best. One complimentary room after 15 rooms have been reserved and paid for. One complimentary room upgrade for every 15 rooms have been reserved and paid for. Free use of meeting space when a Coffee Break has been purchased. Welcome drinks (bottle of water or non-alcoholic drink) upon arrival. Receive our group benefits, in addition to a Complimentary Coffee Break for meetings, one time coffee break per day in agreement to the Group’s Schedule.